Take a look at our Current Specials, or find Destination Inspiration! 4 nights from $636 per person! Whether you want to spend some time at Bahia Principe Coba or Tulum near some fantastic ruins, enjoy natural cenotes, monkeys, and nightly reenactments by ruins in the jungle at Sandos Caracol Eco resort, have some child free time at Luxury Bahia Principe Sian Ka'an, enjoy the no reservations or wrist bands at NOW Sapphire, we have a package for you. Rates are based on double occupancy and are capacity controlled. Triple, quad, and child rates are available so please ask. All resorts are all inclusive and include the round trip nonstop flights, transfers to and from the resort, all meals, drinks, tips, taxes, and non motorized water sports. From Philadelphia a checked bag may be added to these rates for $25 per bag each way. 4 nights from $715.18 total per person! It's that time of year! Day of the Dead in Mexico begins Nov 1 and ends Nov 2 and some of the package rates are too scary not to take advantage of! Of course just going to Mexico and vacationing is fun any time of year- you can spend some time at Catalonia Playa Maroma in one of the best beaches in Mexico, enjoy natural cenotes, monkeys, and nightly reenactments by ruins in the jungle at Sandos Caracol Eco resort, have some child free time at Luxury Bahia Principe Sian Ka'an, or be pampered at Generations in an oceanfront luxury Jacuzzi suite with a free dolphin experience and international phone call. We have a package for you! ​Rates are based on double occupancy and are capacity controlled. Triple, quad, and child rates are available so please ask. All resorts are all inclusive and include the round trip nonstop flights, 2 free checked bags per person, transfers to and from the resort, all meals, drinks, tips, taxes, and non motorized water sports. DREAMS RESORTS 1 ROOM FREE! ​If you are planning on traveling this year with friends or family, consider this great deal! For every 5 rooms you book at a Dreams Resort in Punta Cana, Cancun, or Riviera Maya you will get a 6th room free. That means if you have 12 people in 6 rooms you will only pay for 10 of them! All passengers must travel the same dates and the free is on the land only, airfare is paid by everyone. ​Call Brenda (717-732-5749) or email for details! Did you know you can now fly directly from Harrisburg to Myrtle Beach? For those who are looking for a mini-vacation close to home, no passport required, read more about how you can get your weekend getaway for as low as $319 per person! Read more or contact us now! Club Med - The Only True All-Inclusive Resort in the USA... No Passport Required! Our photo is of a trapeze at one of the many Club Med resorts around the world! Club Med is the ultimate in all inclusive when it comes to activities, and even has US locations so you can escape passport-free. They not only have circus school (check out the new Cirque Du Soleil in Punta Cana! ), but they have golf, tennis, sailing, fitness, and so much motre all included in the price! You get guidance from pros in all areas and don't have to pay extra, so why not try something new? Along with the activities you will still enjoy beaches and all meals, snacks, and drinks! 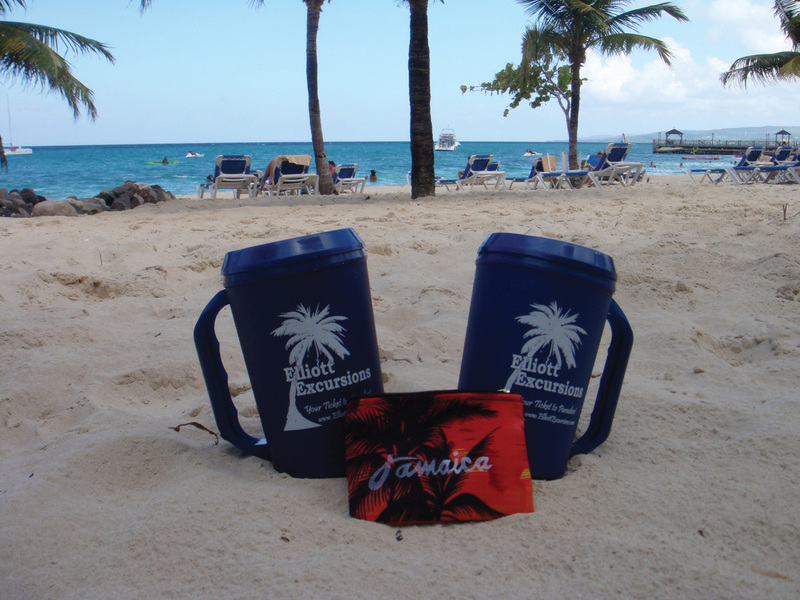 If you are lucky enough to go to an island all inclusive be sure to ask Brenda for these great mugs to use at the pool and the beach! Need Travel Inspiration? Look no further! Below is our Destination Inspiration tool to get your happy thoughts going! Simply search by your perfect vacation activity, or a pristine destination, and get a glimpse of your future getaway. A quick direct email form will get the planning started in just a few moments, so what are you waiting for? We're waiting to answer your questions!